Cabins at Lake Owego in the Poconos. Camp Bonfire, the sleepaway summer camp for adults, has opened registration for the 2017 season. This year, adult campers can act like kids again from Friday, June 16, through Sunday, June 18, or from Friday, Sept. 8 through Sunday, Sept. 10. There will be s'mores-making around the bonfire, capture the flag games, talent shows, hiking, friendship bracelet-making and canoeing among the traditional summer camp activities. Campers will also disconnect from technology for the majority of the weekend. While attendees are free to relive their favorite childhood memories at Camp Bonfire, there are a few perks to going back to camp as an adult. You can have a few beers around the fire, stay up late eating snacks and pick-and-choose which activities to do. “Summer camp is a place to have fun, relax, connect with people, enjoy nature and try new things," co-founder Jacob Winterstein stated. "We’re not here to change you, fix you, cleanse you or transform you. We think you’re fantastic just the way you are." Registration fees include all meals, alcohol and activities over the weekend, as well as lodging in camp cabins. 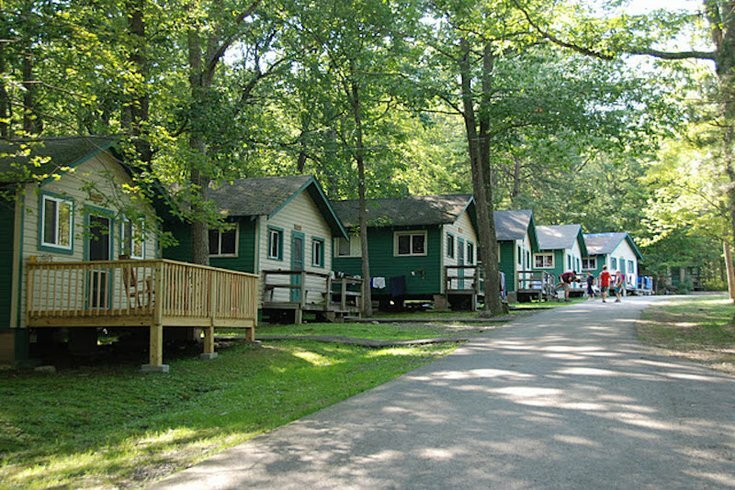 To get to the camp, which is located about two-and-a-half hours from Philly, either drive up and pay a small parking fee or opt to take bus transportation organized by the camp. “We want to emphasize that adults of all genders, colors, ages, sexualities, nationalities, religions and cultures are welcome at Camp Bonfire,” co-founder Benjamin Camp stated.